The Davis Mountains have long attracted people seeking respite from the surrounding deserts of West Texas. Delivered as magma from volcanic activity some 35 million years ago, the mountains harbor patches of “sky island” known for relatively moist forested hillsides, cooler temperatures, and spartan beauty. 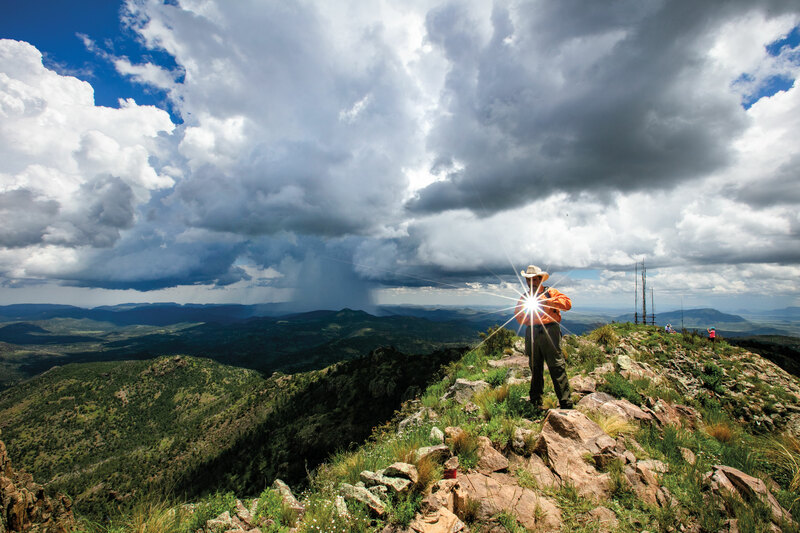 To explore the Davis range’s cultural past and natural marvels, head to the highest town in Texas—Fort Davis, at 5,050 feet—and hit the trail. Or better yet, hit three trails. 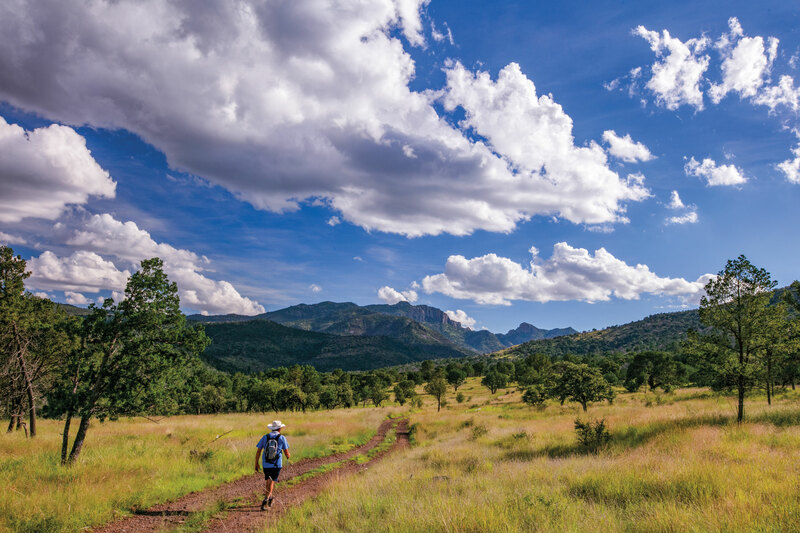 The Madera Canyon Trail traverses former ranchland now part of the Nature Conservancy’s 33,000-acre Davis Mountains Preserve. Twenty-four miles northwest of Fort Davis on State Highway 118, the 2.4-mile loop crosses Madera Creek before splitting: The right fork delivers a vista of the Davis Mountains’ profile including Mount Livermore, the highest point in the region; the left fork descends to the creek and Chico Tank, which holds water seasonally (a draw for wildlife, especially birds) thanks to a dam built of native rock in the early 20th century. Keep an eye out for coveys of Montezuma quail with their striking black and white head markings. 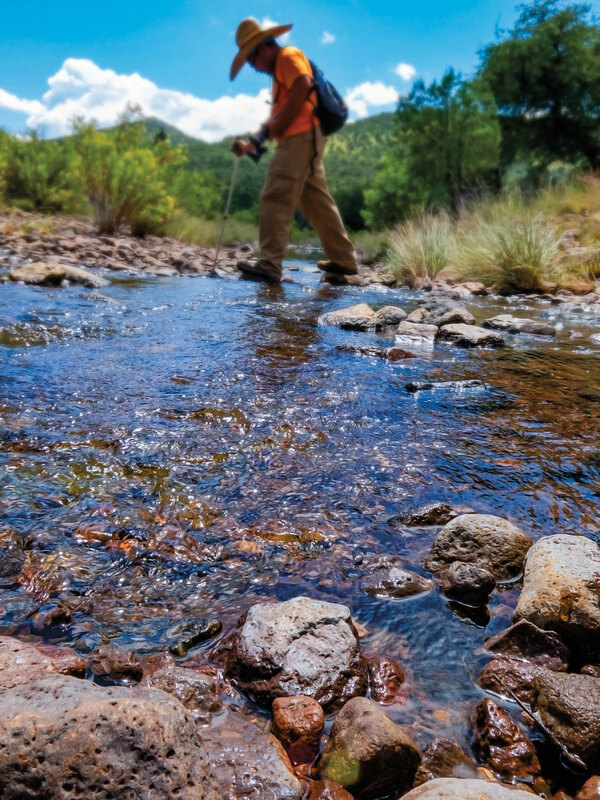 Water is the lifeblood of the Davis Mountains, and the range captures plenty as it forces westerly winds to rise, cool, and condense; the mountains’ annual rainfall nearly doubles that of the surrounding desert. Pioneer ranchers recognized these beneficial conditions and, by the end of the 19th century, the number of cattle in the Davis Mountains exceeded the human population 43 to 1. But the 20th century brought a changing world as cities grew, rural populations shrank, and overgrazing contributed to the slow, steady decline of ranching in the Davis Mountains. 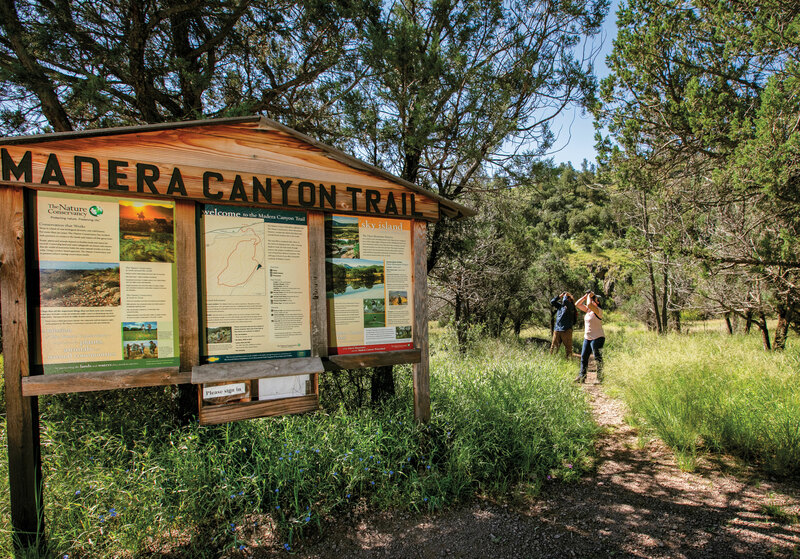 The Madera Canyon Trail starts and ends at the Lawrence E. Wood picnic area on State Highway 118. It is free and open daily from sunup to sundown. Crossing the normally dry Madera Creek. As American settlers streamed into the frontier, the United States established military forts to confront and guard against the Native Americans who originally called West Texas home. The Fort Davis National Historic Site preserves an 1854 cavalry post that protected settlers, mail coaches, and wagon trains traveling between San Antonio and El Paso until 1891. The fort’s location, at the mouth of a box canyon, proved to be an advantageous site for staging defenses. Water is the lifeblood of the Davis range, where the annual rainfall nearly doubles that of the surrounding desert. The North Ridge trail system gives hikers a bird’s-eye view of the fort and the 24 roofed buildings that remain, including five that have been restored to their 1880s condition. One trailhead starts from the Hospital Canyon Trail behind the restored fort hospital and travels through native trees and grasses beneath the protective natural palisades of the canyon. It then ascends to the ridge where it becomes the North Ridge Trail. The left fork links to Davis Mountains State Park, while the right fork follows the North Ridge Trail to a short detour and an overlook with a comprehensive view of the historic site. The hike is approximately 1.5 miles each way. Summiting Mount Livermore, the highest point in the Davis Mountains, recalls the Livermore culture, a foraging society that occupied this range from approximately 800 to 1300 A.D. before disappearing from the historic record. The 8,378-foot summit, also known as Baldy Peak, provides a 360-degree view of the surrounding range. It’s also the location of one of the most unique archeological finds in the state. In September 1895, locals Charles Janes and Tom Merrill climbed Livermore before pausing to rest along its narrow, ledge-like summit. Noticing a cairn of stacked rocks on the peak, the two assumed they had discovered a Native American burial mound and dismantled the stack. But instead of a body, the rock cairn concealed a collection of rare arrowheads—slender flint points in hues from milky white to terra cotta red with distinct wavy ridging along their sides. The young men pocketed several points and took them to Charles’ mother, Susan Janes, who had developed an interest in local Native American history. After viewing the cache herself, Susan theorized the collection was ceremonial rather than utilitarian—a ritual offering. The trailhead to Mount Livermore begins at the “Cat Tank Turnoff” along Madera Canyon Road, negotiable only in a high-clearance vehicle. The 6.2-mile, round-trip trail follows the old road 1.8 miles up to Bridge Gap, where the Limpia Chute Trail then navigates a well-marked series of switchbacks through a forest of Texas madrone, gray oak, alligator juniper, and some of Texas’ few stands of ponderosa pine. After 1.3 miles (and another 1,000 feet of elevation), the trail arrives at the base of Baldy Peak and the Livermore Summit Trail. Loose rocks, an exposed climb, sheer drops, and a vertical trail characterize the short, steep climb to the top. It’s a strenuous hike, but the reward is unequaled. On a clear day, you can spot the Guadalupe Mountains and the unmistakable face of El Capitan 130 miles to the north. The view is also timeless. It turns out that Susan Janes was correct: Subsequent research confirmed the Livermore cache was a ceremonial offering, a ritual symbol of whatever spiritual quest these early Davis Mountains inhabitants were pursuing. Today, the Livermore people and their culture are extinct, and their ritual cache has been placed in the Museum of the Big Bend in Alpine. But their view of the world survives. The Mount Livermore trail opens several times per year when the Nature Conservancy holds public days at its Davis Mountains Preserve. 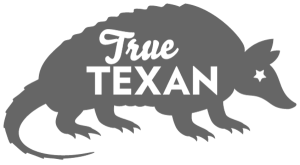 432-426-2390; nature.org.